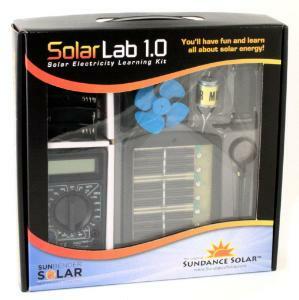 The Solar Lab 1.0 educational kit is designed to teach students of all ages how solar cells can be used in real electric circuits. It contains 10 step-by-step labs with an easy-to-follow manual that guides you through the basics of solar electricity and how to use it in everyday life. Students learn how a solar cell works, how to build circuits that power devices with solar energy, how to use a multimeter to learn about voltage and electric current, and how to build a solar-powered battery charger (batteries included). 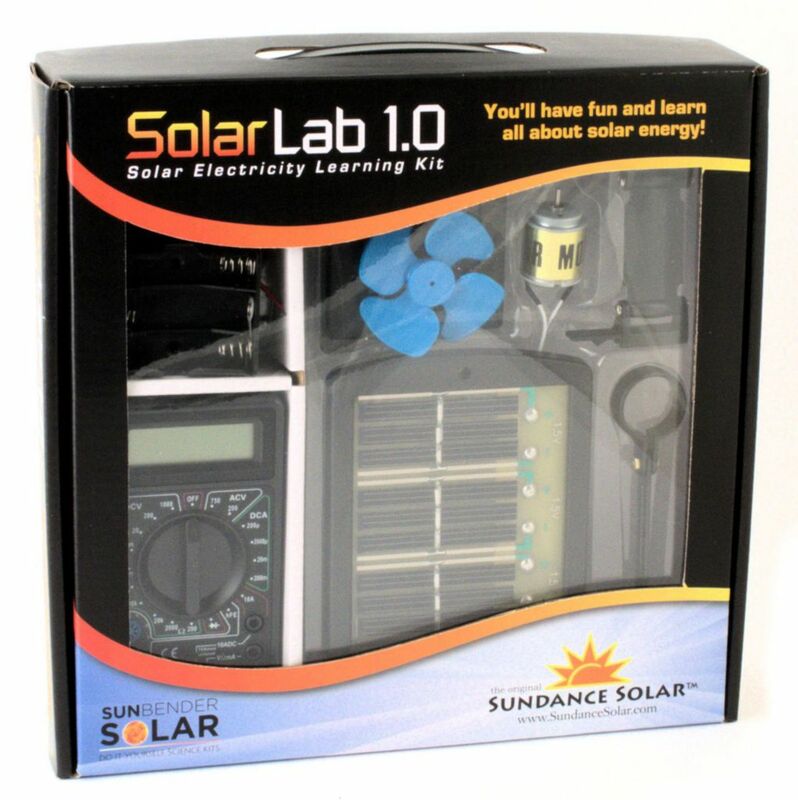 Ordering information: This kit includes a multi-voltage solar panel, a motor with fan blade and stand, digital multimeter, a bulb, a diode, a resister, LED, a battery holder, batteries, all cables and connectors, and a solar lab 1.0 manual.